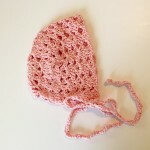 Handmade heirloom quality lacy baby bonnet for baby girl crocheted in Organic Cotton. 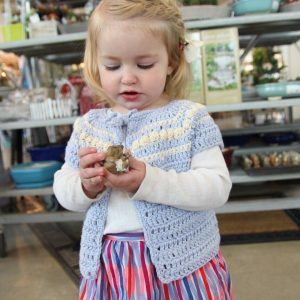 Princess Charlotte Baby Bonnet – handmade with 100% Organic Cotton yarn from cotton grown in Texas and handspun in West Virginia. 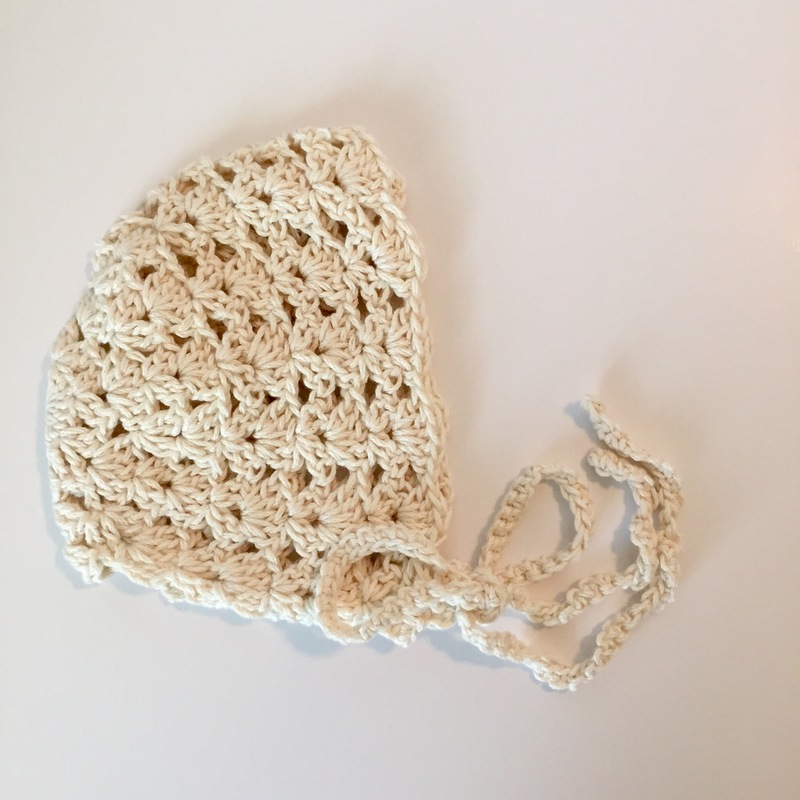 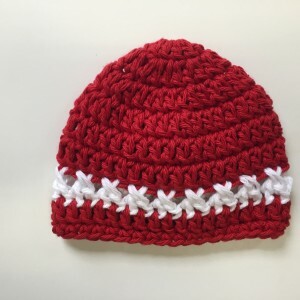 This sweet baby bonnet is perfect to keep the breeze off your new little ones head. 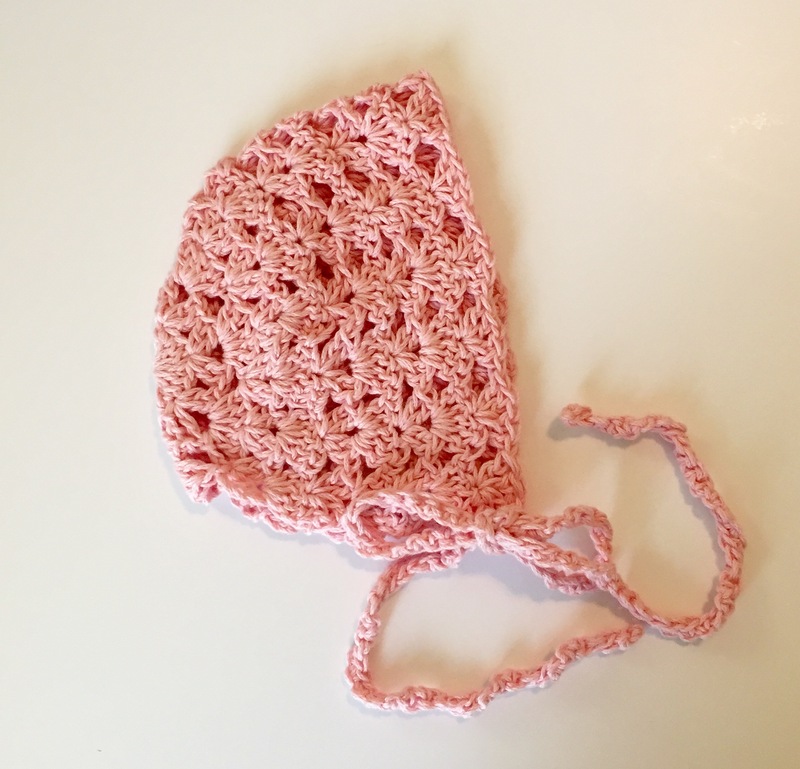 It also makes a great photo prop for baby’s first photographs. 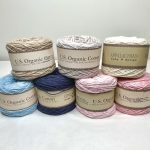 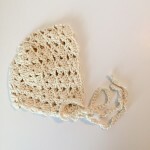 This baby bonnet makes a perfect eco friendly baby shower gift. 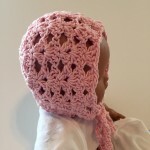 This bonnet is crocheted using my Ribbed Vintage Baby Bonnet Pattern which is avail on my shop. 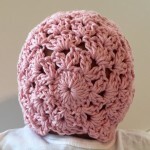 Also purchasable as a DIY pattern and yarn kit.